The Lance Family: Me and my best friends! Me and my best friends! My friends Luke and Will invited me over for dinner... we had spaghetti! It's my favorite! 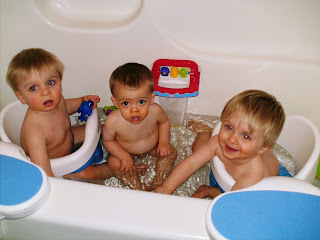 Needless to say, it was a little messy, so we had to take a bath! Aren't we cute?! ?